First Lady Mildred Dorothy Landy Chandler was born February 14, 1939 in Wagener, South Carolina. She was the fourth of ten children born to the late Lawrence Clifton and Maggie W. Staley Landy. She departed this life Wednesday, February 13, 2019 at the Aiken Regional Medical Center. Sister Chandler graduated from A.L Corbett High School in 1959. She worked by day at the Southeastern Poultry Company while attending school in the evenings to obtain her Cosmetology license in 1963 at the Waverly School of Beauty Culture in Columbia, SC. Faith, family and community were the cornerstones of her life. She served faithfully in the capacities of Sunday School, Bible Study and Vacation Bible School teacher wherever she was called to serve. Sister Chandler’s bible school experience notably produced graduates who could recite the 66 books of the bible, Psalm 1, Psalm 23 and the Lord’s Prayer. 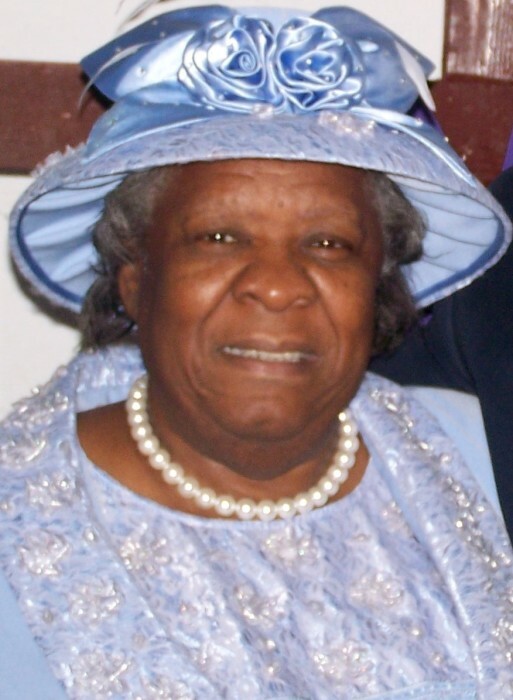 She joined Friendship Baptist Church at an early age where she served on various choirs and committees. Later, Sister Chandler married the Reverend Everett Chandler on December 20, 1964 and served faithfully alongside her husband until he was called home to be with the Lord on December 5, 2016. They were blessed with three children: Reverend Lisa Montgomery, Deacon Everett K (Shannon) Chandler, and Reverend Zanthia (Patrick) Hastings and five grandchildren: Tierra, Aliyah, Joseph, Alyssa, and Patrick; Goddaughters: Varnie Edwards, De’Asia Young, and Ruthie Landy. She was preceded in death by three sisters: Katie Mae Lashley, Betty L. Holt, and Sally L. Stroman and three brothers Deacon Arthur Paul Landy, Deacon Lawrine Landy and Deacon Lawrence Landy. She is survived by two sisters: Luerine Green and Mary L. Brown and one brother James Landy. Six sisters in law: Ida Mae Landy, Sadie Mae (Larry) Counts, Olia Chandler, Dianne Chandler, Dorthy Landy and Mae Bell Landy; six brothers in law: Branch Chandler, Reverend Douglas (Rose) Chandler, Randolph (Eliza) Chandler, Rosco (Diane) Chandler; Rudolph Chandler, Reverend Robert L (Deborah) Chandler, Oscar Stroman and Robbie (Ruth) Felder and a host of nieces, nephews, and many friends.